Have you been spending hours looking for the best rubber floor mats? It is frustrating, especially if you’re pressed for time. 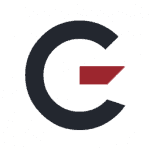 That’s the reason we came up with these reviews so you don’t have to scour the Web. We also have a detailed buyer’s guide if you need more info about floor mats. The terms floor mats and floor liners are frequently interchanged, but they are not the same. A floor mat is constructed from a soft material and is flexible. It is also ideal for protecting the floor from stains and spills. A floor liner has a similar function, but it is built from a hard material, such as rubber or plastic. Floor liners also have high edges which protect the floor. Floor liners are ideal for heavy-duty use and driving in wet, muddy conditions. Floor mats are more appropriate for everyday transportation and use. An all-weather floor mat is ideal in areas with significant seasonal changes. Rain and snow can wreak havoc on a car’s interior, but a floor mat can prevent soil and dirt from damaging the floor. A well-made all-weather floor mat is easy to remove and clean. 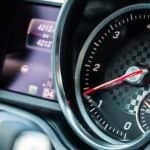 Custom floor mats are the best choice for custom-built cars, those which have been heavily modified, or have uniquely designed interiors. They’re more expensive, but you can have it cut to fit your vehicle. Custom floor mats are also perfect if you want to give your car a different look. Novelty floor mats come in various color and styles. While floor mats are practical, adding some novelty and color allow you to express your personality. What are the benefits of rubber floor mats? 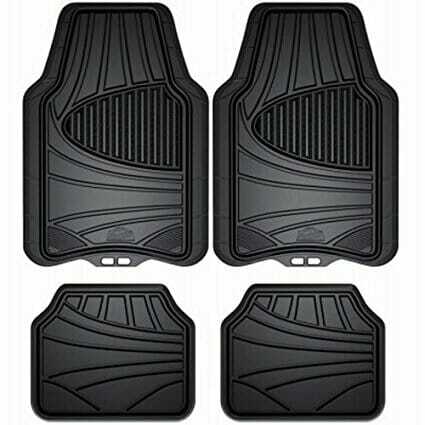 Floor mats are made of different materials, but rubber is popular for many reasons. Rubber floor mats quickly repel spills and stains, saving your upholstery. These mats are affordable and come in different styles, colors, and variants. Rubber floor mats are durable and can withstand heavy traffic and use. They’re easy to maintain; As long as the mat is not exposed to the sun for long periods, it won’t crack. Rubber floor mats are also more durable than carpet. Carpet floor mats may be more attractive, but they’re high maintenance and difficult to clean up. In contrast, cleaning a rubber floor mat is easy. Unlike carpet floor mats, moisture does not get absorbed, so you don’t have to wait for the mat to dry. If you want floor mats that are easy to clean and maintain, rubber beats carpet. 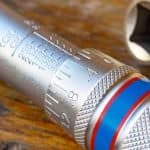 Brand reputation: What is the company’s reputation? What do people say about their rubber floor mats? Do their products get positive reviews? Ease of installation: How easy is the floor mat to install? 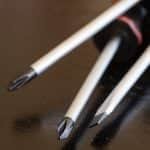 Do you need special tools to use it? All-weather: Is the floor mat designed for all-weather use or is it for certain seasons only? Durability: How durable is the floor mat? Nonslip design: A snug fit is one way to keep the floor mat from skipping. 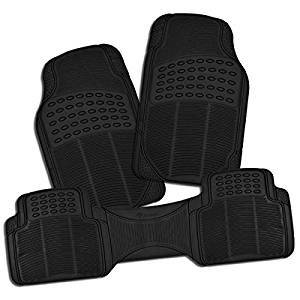 However, it would be even better if the rubber floor mat has non-slip properties so you don’t have to worry about the material slipping as you drive. Customization: A well-made floor mat allows you to trim the floor so it fits your vehicle’s specific needs. Now that you have a floor mat, it’s time to install it on your car. Follow any cleaning instructions stated on the label. If it advises you to use a particular cleaning solution, use it. Search for nibs along the bottom to maintain the rubber mat’s position. Fit the mat as snugly as possible. Doing so will prevent the mat from sliding around. This not only prolongs the life of the rubber floor mat, but it also means you don’t have to worry about the mat moving around when you’re driving. Position and if necessary, cut the mat so it only covers the floor and does not get in the way of the controls. If you’re sensitive to odor, you may want to let the rubber mat get some air before you install it. Some mats have a smell which some find disagreeable. 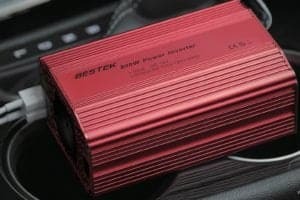 Just give it air for a day or two and you can install them in your car. If the floor mat was delivered rolled up, you may have to lay it and flatten before installing. Do not install new rubber floor mats over the existing one. Remove the old mat floor mat first. Do not use harsh chemicals to clean the mat as it could cause damage. The Armor All 78840 All-Season Floor Mat is customizable, allowing you to trim it as necessary. This means you can install the Armor All in any vehicle by appropriately trimming it. The Armor All also has the proprietary Carpet Claw Anti-Slip Backing which keeps the floor mat from moving under your feet. The mat has also been designed with durability in mind so it can handle sub-zero temperatures without cracking, curling, or turning brittle. 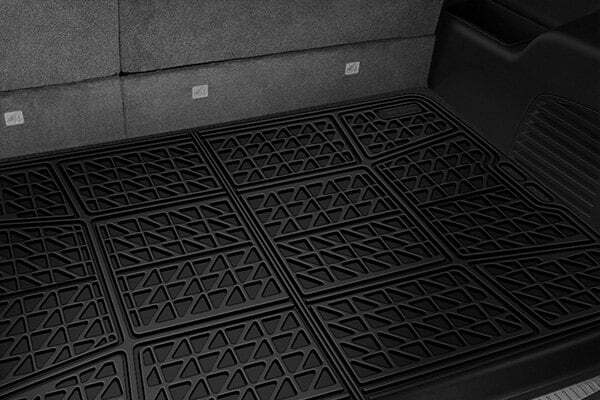 The floor mat is made of durable rubber, and it is versatile enough for use in different vehicles. It does an excellent job of absorbing stains and spills, and while it does have a mild smell, it eventually goes away. The Armor All is available in black, gray, and tan. The differences in colors aside, the quality and customizability are the same. All the floor mats have the same high quality and do a great job of protecting your car’s floor. The rubber material is heavy duty and provides very good protection. Apart from food stains and debris, the floor mat also keeps your car free from mud, snow, and water, and it’s easy to clean. The Motor Trend FlexTough Contour Liner is a heavy-duty mat designed for different types of floors. The material is suitable for all-weather use, and the contours are flexible enough for use on different car floors. The FlexTough inverted shell construction has channels which hold water, debris, mud, and snow so you can remove them easily. The floor mat not only absorbs dirt and water, but it is also eco-friendly and devoid of BPA. With its semi-custom fit, you can install this without worrying about it slipping. The FlexTough material provides a nice balance of protection and flexibility. The diagonal and linear ridges are strategically organized to enhance trapping of debris and dirt. Apart from stains and spills, the mat does a good job of absorbing snow, mud, and other substances. The rubber floor mat is odorless, so it is safe for everyone including pets. 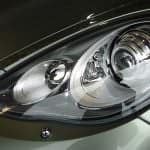 The material is also constructed from high-end polymers, so it doesn’t have any toxic ingredients and won’t cause any damage to your car. 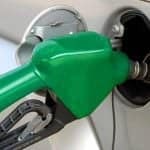 Even if the car is full and it’s hot, the material won’t emit any odor. The FH Group F11305BLACK Black All Weather Floor Mats are made from 100% rubber polymer, which works in different kinds of weather. The mat is low maintenance and it’s easy to clean. Installation also doesn’t take long and the anti-slip backing keeps the floor mat steady. The FH floor mats provide protection against rain, dust, mud, and snow. The floor mats are aesthetically pleasing and give your car a quick makeover. The durable quality of the mat also means you won’t be needing a replacement anytime soon. Unlike other mats, they can withstand wear and tear for longer periods. The floor mats are waterproof, so spills won’t permeate to the floor. 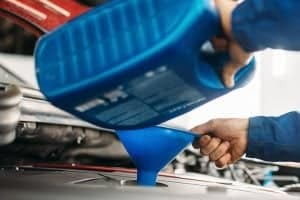 Because they keep car floors dry, you don’t have to be concerned about mildew building up. The high-ridge design keeps debris and liquids trapped, so, it doesn’t get to your car’s flooring. Since the debris is trapped you can dispose of it quickly. The all-weather design means you can expect the same results, even if it is raining or snowing. The anti-slip backing also works consistently, regardless of the car make or model. 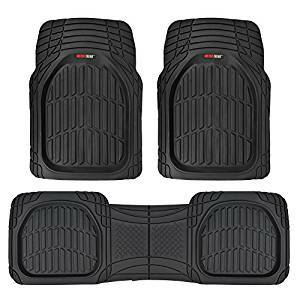 The Zone Tech All Weather Rubber Semi Pattern Car Interior Floor Mat is an all-around floor mat that gives your interior protection from the elements. Daily use leaves your car vulnerable to rain, mud, and snow, but the Zone Tech keeps your original car floor from deteriorating. You can customize the floor mat to fit your vehicle, and trimming is easy to do. The rubber used on this mat is resistant to stains and is durable as well. The divots and ridges on the mat remove snow and mud from your boots and shoes. It also traps the debris so it doesn’t get anywhere near your car’s original flooring. The floor is easy to remove and clean. No need for fancy cleaning solutions as you just have to spray it with a water hose and the dirt comes off. The material is waterproof, so it won’t be damaged by water. Even with repeated exposure to grime, dirt, and other debris, the floor mat holds up. The rubber floor mat should fit most cars as is, but the ease with which you can trim adds another dimension and gives it an edge over others. Maxliner F 150 Floor Mats are built mainly for the Ford 150, but it is compatible with other trucks, cars, SUVs, and vans. 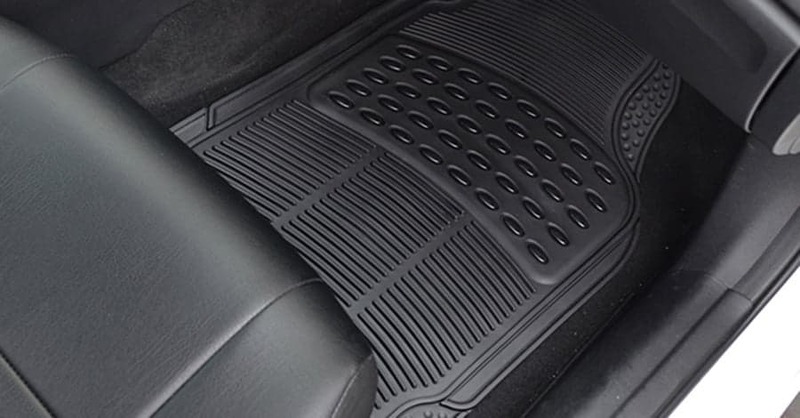 When installed, the rubber floor mat absorbs stains and spills so your car flooring is protected. The Maxliner is 30% thicker than other floor mats, so it is able to absorb more liquids. The floor mat fits snugly on your vehicle floors, and its proprietary Protect Seal has a fortified outer lip which allows you to install this over your vehicle’s carpet. The end result is the interface gets sealed, preventing moisture and soil from seeping in. When the floor mat is installed, any substance or debris spilled won’t get on your car floor. The floor mat works with fasteners, so it is easy to set up. The floor mat is also durable, so it will last a long time. Even with continuous use and repeated cleanings, the floor mat won’t be damaged. The Maxliner is also eco-friendly; these are made from recycled material and are as good for the planet as they are for your car. Rubber floor mats are often overlooked, and we don’t think about them much unless they meet our requirements. But, as GarageChief has shown here, you can’t take them for granted, especially if you want maximum comfort and style for your car. 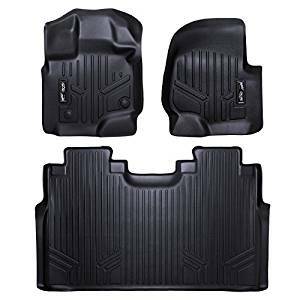 That is what all these floor mats are for, but we can say with confidence the Armor All 78840 All-Season Floor Mat is the best of the bunch. What we really like about the Armor All is how easy it is to cut and trim them to suit your vehicle. 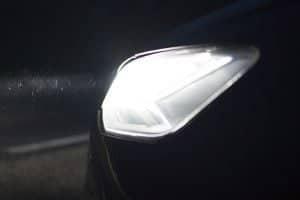 It is mainly for cars, yes, but you can easily tweak this for use on other vehicles. As we have pointed out in our reviews, this floor mat is one of the few that can really be called “all-weather” as it is very durable. All the floor mats we reviewed here are top of the line, but the reason we are giving this the edge is its engineering. Even with constant use, the floor mat is not going to curl or get damaged. 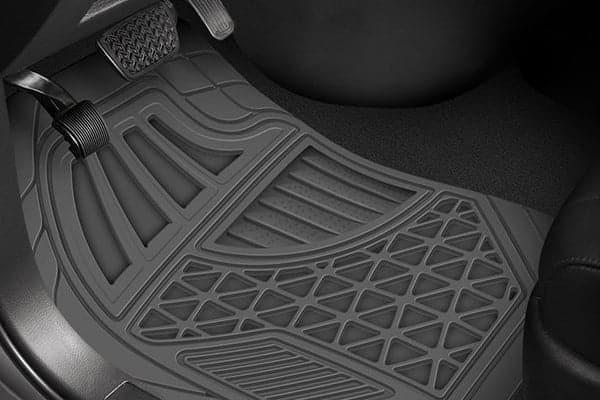 There are a lot of rubber floor mats, but few are worth checking out and the Armor All is one we highly recommend.